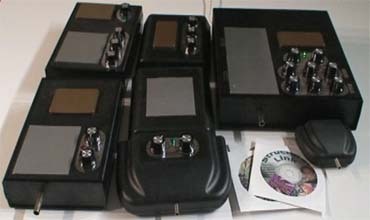 The Chi Generators® and Power Radionics™ Devices are great tools to enhance any mind function for learning, artistic inspiration, intuition, intelligence, ESP and psychic capabilities. Traditionally, low frequencies are connected with specific capabilities of the mind. These effects have been well established and they have been tested repeatedly by scientific methods. As the orgone generator® (Chi Generator®) can be set to precise low frequencies, it is naturally an ideal tool to enhance intelligence and logical thinking, especially when in conjunction with the PFC 2400 Chi Generator®. To boost intelligent thinking and precision, use 14.1 Hz on your orgone generator. To enhance or develop your capabilities of Extra Sensory Perception (ESP), you can use 6.3 Hz, while you can enhance intuition and inspiration with the Schumann resonance of 7.83Hz (such as the JU 99 CE). 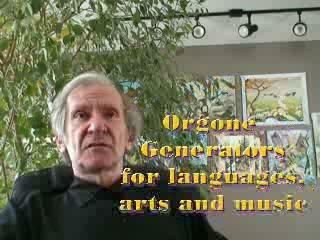 In a similar way, you can use the Chi Generators® to enhance artistic inspiration, creativity, music, etc., especially when in conjunction with our radionics programs. Excellent devices for individual use are the LPOG 2400 DL and LPOG 2400 HD and especially the RAD 2400 HD. Also great are the devices of the Performer series and, in conjunction with any HD devices, the Performer 2400, which allows precision frequencies and it has double the power of the RAD 2400 HD. Using the new technology of Chi Generators® can help you significantly to boost intellectual skills, creativity, intuition, inspiration, learning of languages, etc.! Ask us for a FREE demo: We charge your water at a distance! Without going more in detail about specifics and theories, now it is time for you to gain this extra evidence by performing a test and then let your taste buds decide! We are certain that this experience it is much more valuable for you than wordy theories. You can perform with ease this free test and enjoy the better taste and the benefits of water in its living and natural state, which has been super charged and energized with life force, or Chi energy. Your general well-feeling after this test and the surge of energy will be the evidence that you wanted: it is experience of direct evidence that is worth more than thousands of words. In fact, this exciting test is as easy as 1 – 2 – 3! Just click here, print the chi-card® (chi transfer test chi-card®) that you receive and follow instructions, especially the ones relating to water. You certainly will be amazed!